Sapphire TrueDual™ is a dual energy inspection solution that has been developed to deliver the most reliable bone and contaminant detection. Dual energy x-ray inspection (DEXA) was originally conceived for the medical field. Sapphire have harnessed and reconfigured this technique for the food industry. The data from low energy and high energy images are combined creating a superior single and more reliable inspection result, making the Sapphire Visum G120 inspection system perfect for end of line poultry inspection. The option to include a logistic conveyor has been incorporated into the system’s design to significantly reduce wastage. A rejected product that contains bone is detected and automatically returned to an operator who uses the image to identify the area, remove the bone and send the product along the original line for a second inspection. 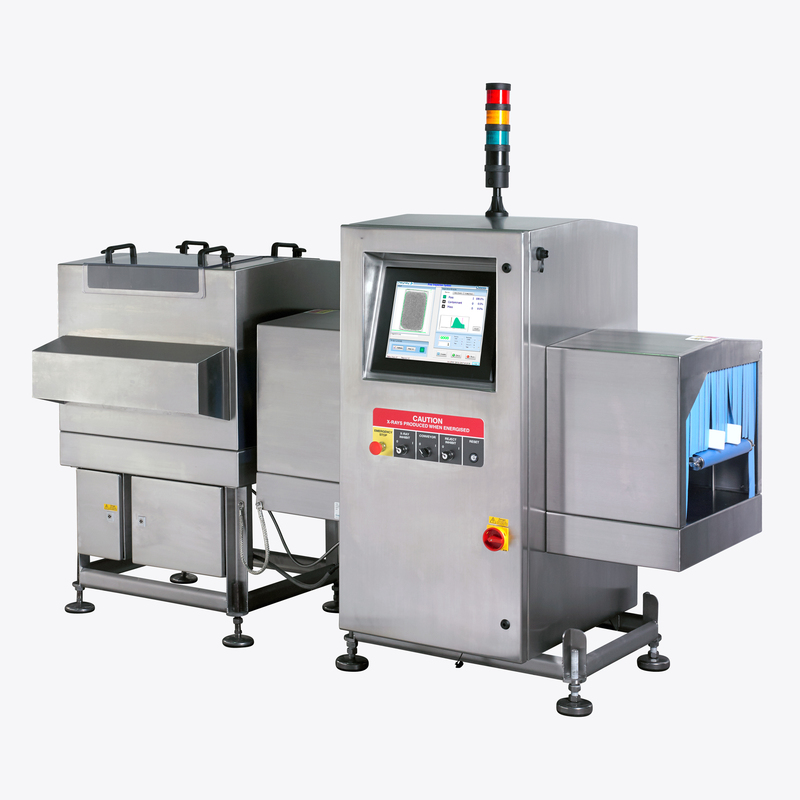 The Sapphire Visum G120 inspection system has been designed specifically to adhere to the highest hygiene standards in poultry production. User-friendly, easy to clean and maintain and fully supported with remote service online 24/7. Ensure your product safety, deliver bone and contaminant free poultry with this automatic end of line system. Sapphire TrueDual™ & laser scan technology. High data sensitive chicken bone detection.